It’s freebie time! 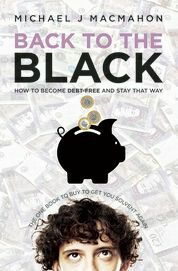 The Kindle version of my book Back to the Black is on free promo, from today until 5 March inclusive. The Kindle version of Back to the Black …. 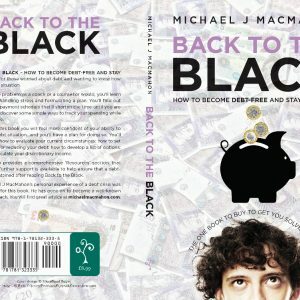 how to become debt-free and stay that way (second edition) will be available as a free download from 1st – 5th March inclusive. The promotion applies to all territories. About ten years ago my two daughters and I started a tradition which has persisted to this day. We feel it has introduced more fun into our Christmasses; and we like it so much that we talk about it to anyone who’s interested. And quite a few who aren’t. We call it ‘Budget Boxmas’. Do you remember Alvin Hall, the American financial guru and author? He presented several popular money advice series on BBC2, from 1999 and 2003, and he first opened my eyes to the insanity of the Christmas gift-buying frenzy. One of the programmes featured a couple who had a combined income of around £70,000 but had got into serious debt. Alvin established that one of the reasons was an addiction with buying expensive Christmas presents, and not just for friends and family but also for neighbours, neighbours’ children, etc etc. They started Christmas gift buying every September, sometimes even earlier, and I think they spent around £10,000 every year. So Alvin Hall did a little experiment: he asked the couple’s two sons what they thought was the best thing about Christmas Day. The Christmas dinner with the family was top of both lists; the decorations; singing carols; seeing friends, etc. Then Alvin talked to the neighbours. Only a week after Christmas, he asked a few neighbours, who’d received quite extravagant presents from this generous couple, if they could remember what they’d been given. Sadly, the answer was no. That little experiment, harsh though it might have seemed, made the case for me that spending lots of money on Christmas presents was not necessary, despite the blandishments of the advertisers. I moved to Bristol twelve years ago. My daughters used always to spend Boxing Day with me and Christmas Day with their mother, as she and I had divorced a few years before that. My cooking wasn’t in the same class as their mum’s; but the girls and I had lots of fun, with plenty of booze and plenty of songs, as they both love singing. By the time they arrived at my place in Bristol on 26 December, the girls had already had lots of presents from their generous mother, their stepdad, grandparents and friends. They and I soon realised that what we all needed from Boxing Day (or Boxmas, as they started calling it) did not need to involve more expensive presents, some of which might be duplicated. So we came up with an idea – actually it wasn’t mine, it came from a friend of mine. She and her kids had set a spending limit of £10, so we decided to do the same. 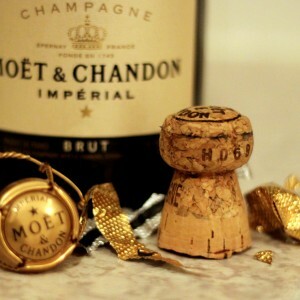 However the details were not clearly agreed in advance, so I took it to mean you mustn’t spend more than £10 per item. The girls thought it meant £10 per person, which of course was far more logical. So from the second year onwards we got our act together and the £10 per person limit applied. The result was an increase in creative thought around the gift buying process. Instead of simply throwing money at the problem, we became patrons of Poundland and of charity shops; also we would recycle gifts and we would make stuff. The girls became particularly good at making what they still call mix-tapes, although they are of course CDs nowadays. Our thinking behind this ‘Budget Boxmas’, as we call it, was this: so often one receives gifts that one didn’t really want and certainly didn’t need. We are not on the edge of poverty but we don’t believe in wasting money. Good food and drink and each other’s company (and maybe singing) are the essentials of the festive season for us. Our musical hero Loudon Wainwright calls Christmas a “Retail Eternity” and this is our small rebellion against that. Of course our presents are in monetary terms trivial but we know that thought has gone into them. Did you get anything that you didn’t want or need? You just give it to a charity shop … perfect! 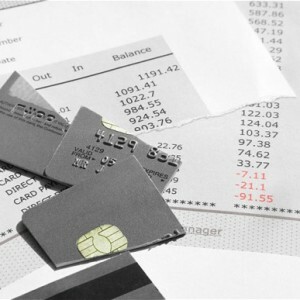 If personal debt really is increasing again at a worrying rate, then a growing number of people could soon be facing the stress of a debt crisis. Don’t ignore the situation. Open the demand letters, make a list of the balances. Always respond to every communication from a creditor. That shows you’re serious about dealing with the situation. Make an offer. Explain if you can’t offer more. Always communicate in writing. 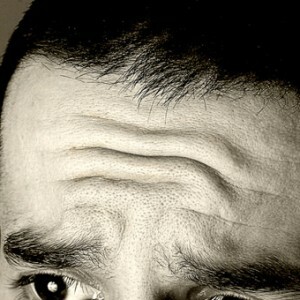 You’ll have a record of what was said and agreed; and it’s less stressful than dealing with creditors on the phone. Many years ago I was in that situation, when my small business failed and I owed money to 26 creditors. Negotiating with all of them took a long time but eventually I came through it without permanent scars on my sanity (as far as I know). I always negotiated in writing, never on the phone. Dealing with a creditor on the telephone is stressful. My voicemail took a lot of the strain (what a great invention, whether you have an actual machine or a service from your phone provider) but if a creditor left a message I always responded … in writing. One of the complications that I occasionally encountered was the involvement of intermediaries. Some were bogus law firms which were actually departments of the creditor company, with stationery designed to give the impression of being a genuine law firm, in order to intimidate. 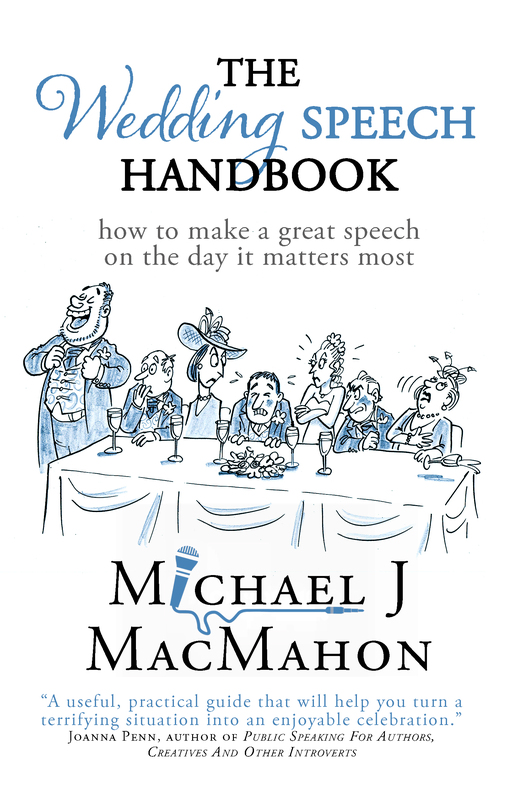 When dealing with intermediaries of any kind, I was always extra-polite, working on the assumption that they hadn’t been fully informed, so I would write things like: “maybe you don’t know, but in the letter of so-and-so from your client …” and I’d enclose or attach a copy of the previous correspondence. Not keen on writing letters? Help is available! You might say that writing letters (or emails) is not your strong point. That’s no problem, because lots of debt management organisations can help you. For example, here in the UK, Citizens Advice Bureaux are all over the country and their advice is free and impartial. They helped me greatly. The other major nationwide debt advice charities are StepChange and National Debtline. There are also many local not-for-profit advice providers: for example in Bristol, where I live, there’s Talking Money. There’ll be one near you. Templates for standard letters / emails are available from some of the organisations I mentioned above. You can also find templates in my book Back to the Black. Are you a Scrooge or a splurger … or both? When I launched the second edition of my book Back to the Black … how to become debt-free and stay that way, we had a party. The subject of debt is serious, of course, so we felt a little frivolity would be good. The party – sorry, launch event – was chaired by my good friend, the author and journalist Debbie Young, and she came up with a great idea to get everyone involved. It seems that many of us save money by making small economies on necessities – ‘Scrooging’ – but then immediately blow much larger amounts on luxuries – ‘Splurging’. So we invited our audience members to give examples of how they’d done exactly that. Nearly all of them were happy to accept the challenge. We thought that deserved a prize. The launch event at which this fun idea was kicked around was for the second edition of Back to the Black. It was held at the Bristol branch of Foyles’ bookstore. 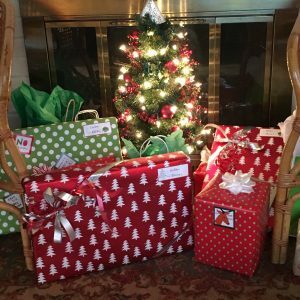 Scrooging and Splurging, even within minutes of each other, is very understandable. I do it myself. But I know that there would have been no point in extricating myself from a debt crisis (which I did in the late ‘90s, as I relate in Back to the Black) would have been pointless if I’d then got back into debt. So I have to be sure that my Scrooge incidents outnumber the Splurge incidents. “Scrooging and Splurging” could also be expressed as “enjoying life, while keeping the finances in order”. This and many related topics will be featured in my next personal finance book. Its working title is Staying in the Black and I plan to launch it by the end of the year. 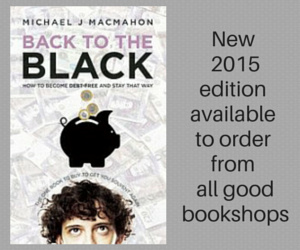 Back to the Black … how to become debt-free and stay that way is available to order at all good bookshops. 1. Regional variations in debt burden. One of the debt charity StepChange’s advisers moved on earlier this year. His farewell blog post was very informative: a good example of the advice that’s available regularly on their blog. I am sure he – and StepChange – will not object to my quoting it. Provided that they are convinced it really is your best offer, I’ve usually thought this to be true. But Matthew’s evidence in support of the theory is amazing: only one proposal rejected … out of 300! That’s an interesting statement right there at the end: the “can’t pays,” as he puts it, are the group that StepChange exists to help; and they are the group with whom creditors are more likely to negotiate reasonably. Citizens Advice was the charity that helped me with my debt crisis, largely because they had a Bureau near me where I could have face-to-face meetings. However they are a generalist advice charity, whereas StepChange is a debt specialist. And judging by their blog, an excellent one. Wonga, the UK’s largest payday loan company, has been ordered to pay £2.6m in compensation, after sending letters from non-existent law firms to customers in arrears. The letters threatened legal action, but the law firms were false. In some cases Wonga added fees for the letters to customers’ accounts, according to the BBC. The customers affected (45,000 of them) will each receive £50 for distress (a piddling amount, surely?) plus any legal fees they have encountered. The regulator in this case is the Financial Conduct Authority (FCA); they cannot however fine Wonga because the offences happened before they started regulating payday loans companies. Richard Lloyd, executive director of consumer group Which?, said: “It is right the FCA is taking a tougher line on irresponsible lending and it does not get much more irresponsible than this. Tougher line? £50 each? I imagine the people at Wonga are laughing. Wonga is not the only lender to do this. Back in my debt-crisis days, I received a letter from a non-existent firm of solicitors. I was only alerted to the fact when I noticed that the initials of the firm were identical to those of the bank that was chasing me for the debt. It’s sharp practice and could cause considerable distress, because most people have a healthy respect for the law. And that’s how it should be. So to use that fact in this way is pretty despicable. £50 each, eh? There is an existing Code of Practice from the Office of Fair Trading (OFT) regarding harassment of debtors, although it is often ignored. I’ve blogged about it more than once; for details click HERE. For the BBC News item, click HERE. For the OFT Code of Practice regarding harassment of debtors, click HERE.